All three Disney Sisters are big dreamers. We each have different hopes and dreams but we all share a love for Disney. About a week ago, we had a dream of ours come true and we are so excited to share our day with our readers through video provided to us by Disney. The adventure began with a mysterious save the date email that was very vague. We recognized Mickey Mouse and Oswald in the email and were really happy figuring we would be exploring the new Epic Mickey 2: The Power Of Two video game. As details of the event came in, there was mention of a car service, The Grand Californian Hotel, lunch and interviews with Warren Spector and Paul Weaver of Junction Point, Peter Ong of DreamRift and Disney Interactive's VP of Product Development, Bill Roper and as if that wasn't enough, dinner in a secret private location. To say we were excited would have been an understatement! When we arrived at the event, we played Epic Mickey 2 and had a lovely lunch as they shared with us the inspiration Disneyland had given them when designing the video game. There are many specific things in Disneyland that have significance in the game, Epic Mickey 2 like animatronics. Our day was filled with Disney game magic and we were loving every minute of it. Little did we know what was about to come next. After lunch, we were whisked off to Disneyland and given the once in a lifetime opportunity to take a "Walk in Walt's Footsteps" tour with Warren Spector and Paul Weaver of Junction Point. During the tour Warren Spector pointed out how he, Paul Weaver and the rest of his team used The Disneyland Train Station, Main Street and The Hub as well as the iconic Castle view as inspiration when creating wasteland to give players something familiar to connect with that made them want to play and ultimately save Wasteland. When we found out in the tour we were going to see Walt Disney's apartment, we were giddy. We could almost not contain ourselves. When you watch the video, you will notice two things, one that Becky gets really emotional inside Walt Disney's apartment listening to the stories and two, the surprise private location for dinner was none other than Club 33! The video actually shows inside Walt's apartment and inside the upstairs dining room of Club 33!!! As most Disney fans know, these are two places cameras/video cameras are almost never allowed. We hope you enjoy watching the video! If you have a Disneyland pass or this is your first visit the park, taking one of the Disneyland tours would be a real treat. 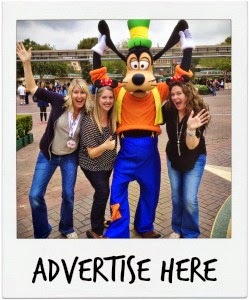 We recommend getting reservations and finding out more by visiting Disneyland's website. We will have more exciting coverage of our day and Epic Mickey 2 coming soon! Disclosure: We were invited to a Media Day preview of Epic Mickey 2, which included the tour and dinner at Club 33. It was a night that we will remember for the rest of our lives. 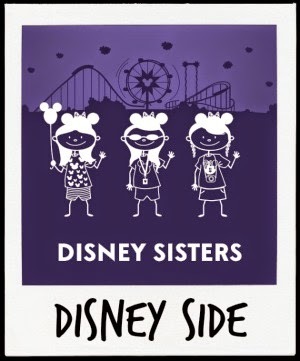 All opinions are 100% Magical and 100% those of the Disney Sisters. Video shot by Disney, footage used with by permission.